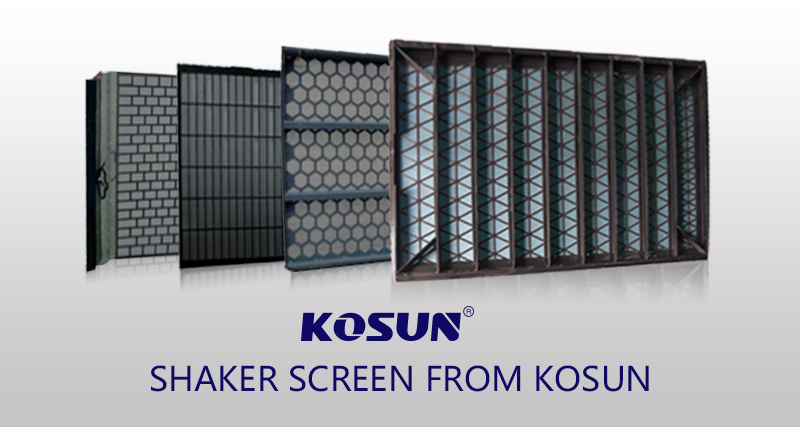 Shaker Screen API Mesh Size is another indicator screen size, but more standard and compatible average. Drilling is widely used activity in oil and gas industry, to obtain deep seated fossil fuel to fulfill the fuel requirement across the globe, and that makes this industry quite enormous. The drilling operations are carried out on hard ground surface or on the ocean surface. In the entire drilling process, one of the main challenges is the handling of the drilling waste , it is called solid control system. The drilling waste mainly consists of drilling cuttings (solid) and drilling fluid (mud). Now the drill cuttings are nothing but the rock shavings and other hard particles that are extracted during drilling, the drilling fluid is a mixture of different chemicals and oil or water. The drilling fluid is quite expensive substance and is added to the drilling process to help drilling equipments lubricated and cool, besides other things. API being one of the largest trading group of US in drilling industry, has set up certain industry standards to test the quality of shaker screens, that are respected worldwide. Based on these tests, they have labeled different shale shaker screen sizes that approved by ISO, and encourage the manufacturers to use those labels on the product to enable the end user for a fair comparison before purchase. American Petroleum Institute has laid down the guidelines for solid control systems in drilling industry. However, the main purpose of this standardization was to provide the end user with a fair idea of what they are investing their money into, when the purchase a certain type of shaker screens. Drilling is widely used activity in oil and gas industry, to obtain deep seated fossil fuel to fulfill the fuel requirement across the globe, and that makes this industry quite enormous. The drilling operations are carried out on hard ground surface or on the ocean surface. In the entire drilling process, one of the main challenges is the handling of the drilling waste , it is called solid control system. The drilling waste mainly consists of drilling cuttings (solid) and drilling fluid (mud). Now the drill cuttings are nothing but the rock shavings and other hard particles that are extracted during drilling, the drilling fluid is a mixture of different chemicals and oil or water. The drilling fluid is quite expensive substance and is added to the drilling process to help drilling waste equipments lubricated and cool, besides other things. API being one of the largest trading group of US in drilling industry, has set up certain industry standards to test the quality of shaker screens, that are respected worldwide. Based on these tests, they have labeled different shaker screens sizes that approved by ISO, and encourage the manufacturers to use those labels on the product to enable the end user for a fair comparison before purchase.